May 6, 2014 by Ken Ward Jr. This morning, the Obama administration will be releasing the latest version of the National Climate Assessment, a dense scientific report about the impacts our nation is already experiencing because of global warming pollution. If the initial media reports are correct, the picture isn’t pretty. 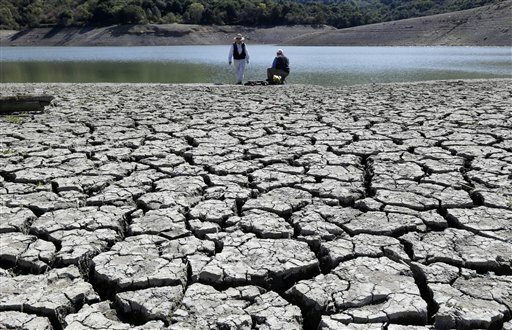 Global warming is rapidly turning America the beautiful into America the stormy, sneezy and dangerous, according to a new federal scientific report. And those shining seas? Rising and costly, the report says. As has previously been reported here, here, and here, the roll-0ut of this report (the PR, not the science) is being orchestrated to try to drum up more public support for Obama administration initiatives aimed at curbing climate change. The media narrative is that President Obama has renewed interest, as his time in the White House moves closer to an end, on doing more about climate change. Of course, President Obama has already done a lot on this issue, but given the scale of the problem, he’s done nowhere near enough. — Regional climate model simulations 7 suggest that the southern part of the region, including large parts of West Virginia, Maryland, 8 and Delaware could experience more than a doubling of days per year over 95ºF by the 2050s … which will impact the regions vulnerable populations, 18 infrastructure, and agriculture and ecosystems. — Throughout the Northeast, populations are also concentrated along rivers and their flood plains. 11 In mountainous regions, including much of West Virginia and large parts of Pennsylvania, New 12 York, Vermont, and New Hampshire, more intense precipitation events will 13 mean greater flood risk to populations, many of whom are concentrated (along with infrastructure and agriculture) in drainage basins between the mountains. U.S. Environmental Protection Agency (EPA) air emission regulations have helped facilitate the closure or planned closure of more than 160 coal generating units across the country, equating to over 22,000 megawatts of electricity. New Source Performance Standards being proposed by EPA will make it nearly impossible to build new coal-based power plants in the future. 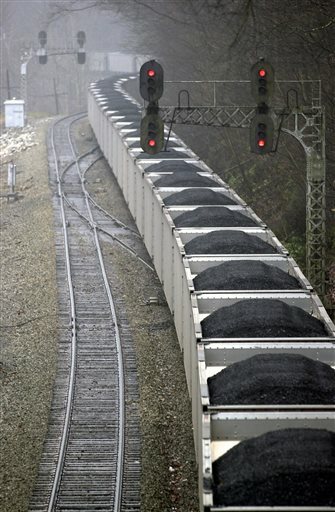 These regulations will further erode West Virginia’s coal economy. The West Virginia Coal Forum in partnership with the Logan County Chamber of Commerce will conduct a meeting to discuss these green house gas emission standards and the impact to our state and the nation from Noon – 2:00 p.m. on Tuesday, May 6th in the Field House at Logan High School in Logan, West Virginia. Governor Earl Ray Tomblin will headline the event and conduct a ceremonial bill signing of House Bill 4346. Passed during the 2014 Legislative Session, the bill establishes a framework for the development of a state compliance plan for EPA’s new climate rules while preserving current fuel supplies and protecting West Virginia coal jobs. The reality for West Virginia and the rest of the country is that we need coal; we can’t meet our energy needs without it. It is simply unrealistic to think that we can stop burning coal and shift to cleaner sources of energy instantly. And it is equally unrealistic to think that coal is as clean as it could be, or that it will be around forever. Either way, we have to prepare for the future. As we wrote a couple of weeks ago, a group of other West Virginians are trying to get our state to start thinking and talking more about climate change, its impacts on our state, and what we can do about it. They have a rough road ahead.